Reporting in to the Customer Success Training & Enablement Manager, the Learning & Development Associate willplay a key role in providing learning experiences & assisting in developing the learning program for new & existing team members, covering onboarding, ongoing skills development, & product/process roll out, supporting the departments larger objectives of improving customer retention & loyalty. In this role you will also be involved in all activities related to the execution of learning programs, from needs analysis through design, development & facilitation of training sessions & workshops, & the ongoing management of knowledge content.. You'll think strategically about the audience & larger context, to ensure we can support our Customer Experience team across a variety of different functions. 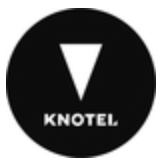 Support Knotels Customer Experience teams growth & success by serving as a well-rounded advisor for learning & development & employee engagement. Document procedures & create & facilitate training sessions.